Prediction of earthquakes: What can we learn from laboratory models? 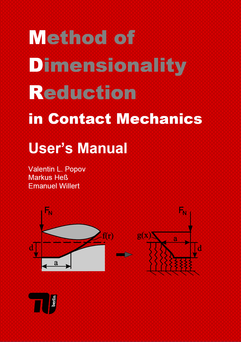 The Method of Dimensionality Reduction (MDR) is a method of calculation and simulation of contacts of elastic and viscoelastic bodies. It consists essentially of two simple steps: (a) Substitution of the three-dimensional continuum by a uniquely defined one-dimensional linearly elastic or viscoelastic foundation (Winkler foundation) and (b) transformation of the three-dimensional profile of the contacting bodies by means of the MDR-transformation. As soon as these two steps are done, the contact problem can be considered to be solved. 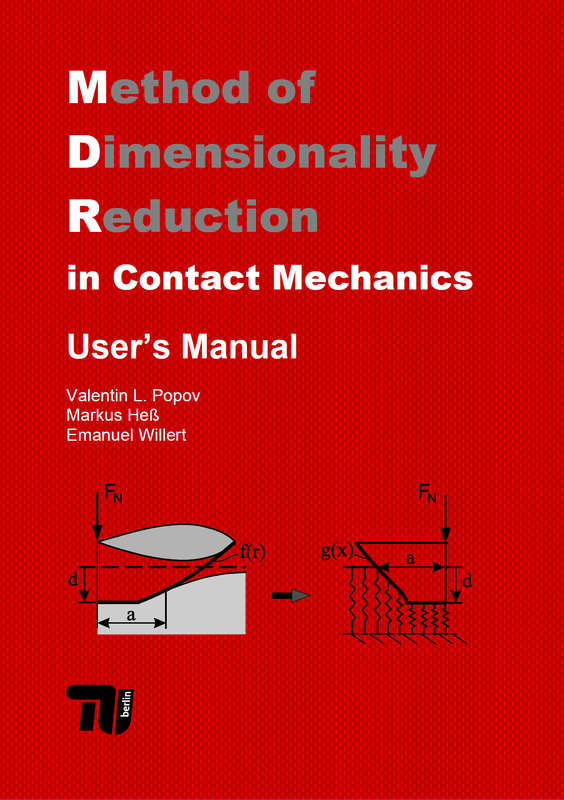 For axial symmetric contacts, only a small calculation by hand is required which does not exceed elementary calculus and will not be a barrier for any practically-oriented engineer. Alternatively, the MDR can be implemented numerically, which is almost trivial due to the independence of the foundation elements. In spite of is simplicity, all results are exact. The present book is a collection of open access papers all together covering the most important aspects of the MDR and providing a practical guide for its use.